Many people kick-start the new year with a fresh set of resolutions. I always like listening to resolutions from the younger generation and take a peek at their life goals. It is interesting to keep our finger on the pulse. Buying a new house and a new car usually top the list of the young generation. I was curious, “Should you buy a car or a house first?” Their answers varied, with most of them, voting for a car instead of a house, due to the need for transportation. 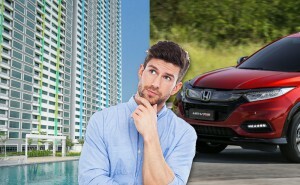 I started this column eight years ago with the first article entitled “Buying a car or a house first?” This is a topic I have been passionate about, and I hope the examples below help people make better decisions.